Nothing grates my nerves more than a crab cake that has everything in it but crab. I can’t tell you how many times I’ve ordered a crab cake at a restaurant and been disappointed when I’m served a bread cake instead. I want crab in my crab cakes, and not just a little lump meat here and there! This recipe for crab cakes is for those of us who love crab, and not the breading you find in most crab cake recipes. 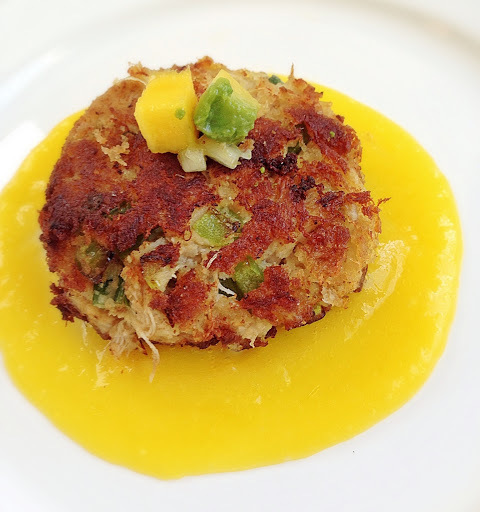 This is a gluten free crab cake recipe. I use vegan mayo instead of regular to reduce the fat, but feel free to use your brand of mayo. Add mango to a blender. Blend while adding water until smooth and desired thickness has been reached. Set aside. 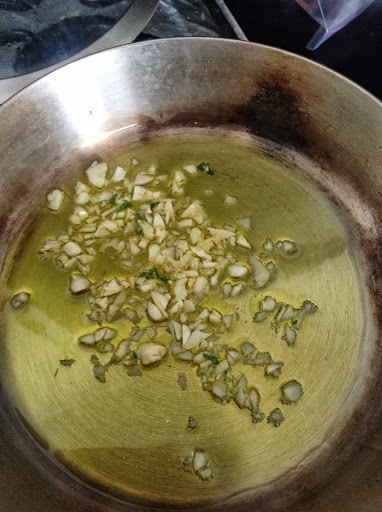 In a large mixing bowl add all the ingredients, except the oil, and mix lightly until ingredients come together. Form patties. 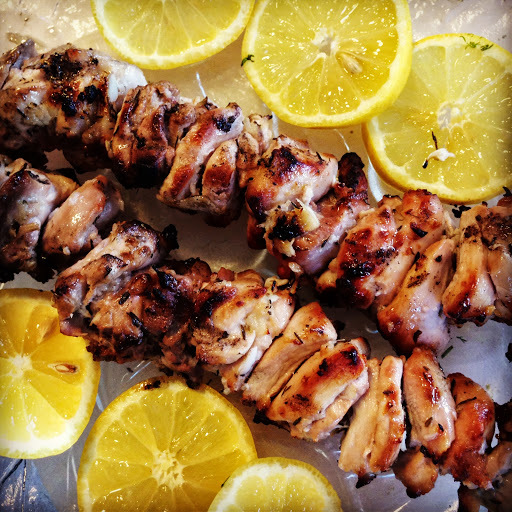 Remove and serve with mango coulis and enjoy! What does your favorite crab cake recipe have in it? Share, I’d love to try it! 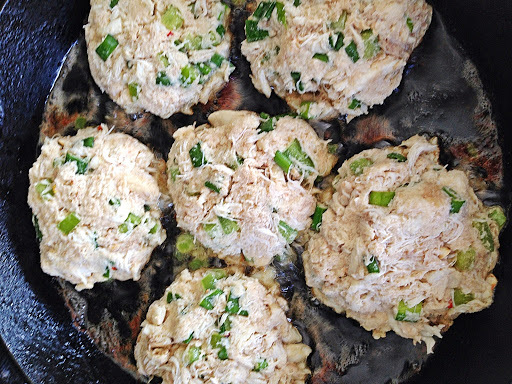 This entry was posted in Food, Food blog and tagged 20 minute meals, crab, Crab cakes, gluten free, Paleo, primal, quick cook meals, quick fix meals, seafood. Bookmark the permalink.